From a legal standpoint, orthopedic injuries are particularly in focus. They are governed in a wide array of statutes and constitute a major institute of the injuries which are subjected to compensation as per the Canadian legislation. With this in mind, it’s important to stress out that the provincial laws of Ontario aren’t that different than those officially issued and enacted by the Government and there aren’t a lot of complications arising with regard to that matter. This is important because if there is a contradiction between a provincial and governmental law the former would be overruled and wouldn’t be taken into consideration. In any case, orthopedic injuries are related to the majority of accidents in Orillia governed by personal injury law and this is the main reason for which they are a hot topic of discussion. It’s important to note that the Common Law has numerous provisions which stipulate the liability in case of an orthopedic injury. However, it is more important to stress on particular accidents which could lead to these kinds of injuries. Slip and fall, for instance, is one of the most common issues in personal injury law and it almost always results in some sort of orthopedic injury. Now, it’s crucial to understand that any injury which involves a broken or sore bone as well as stretched muscle tissues and anything of the kind is going to be constituted as an orthopedic injury. This is why they are particularly interesting. They appear in almost every single accident. 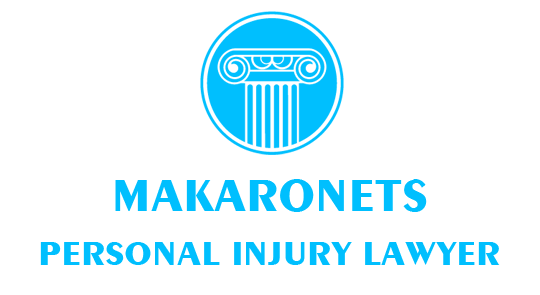 The Occupier’s Liability Act enacted back in 1990, on the 31st of December sets forth clear provisions which obligate the owner of the premise to compensate the injured person in case of such accident. This is another reason for which orthopedic injuries are incredibly scrutinized from the prospective of the law. They are usually associated with a lot of physical pain and require immediate as well as intense medical attention. If an event is classified as an accident there are certain benefits that the victim is going to be able to obtain. However, there are conditions that have to be met. For instance, the amount of the benefit is going to depend on the severity of the accident. There are also a lot of different tests which are going to determine the type of benefit that you are eligible for. The Catastrophic Impairment also has to be taken into account as it leaves possibilities for increased amount as well as enhanced types of available benefits. In any case, there are a lot of procedures to be undergone and followed strictly if you are to get what is rightfully yours. However, it helps to have an experienced lawyer dealing with tort laws or personal injury cases to accentuate the injuries and damages that require compensation. The latest statistics regarding motor vehicle accidents and the fatality rates which are pretty much consequential are rather grim. Reports show that pedestrian fatalities resulted from motor vehicle accidents in Toronto have risen with over sixty percent for the last few years, to reach their absolute peak in 2015. With this in mind, the police initiated strong awareness raising campaigns in order to bring this to the attention of people and somehow limit the fatal consequences resulting from these terrible events. The reports are also showing that over 75% of the victims are senior-age pedestrians. This led to the initiation of amendments of legislation and initiation of enacting new regulations to ensure further safety on the roads of Ontario. The particular idea behind the new legislation which was announced in the middle of summer of2015 is to reduce the overall collisions, injuries as well as the fatalities on the roads of the province. The Making Ontario’s Roads Safer Act was enacted and came into full effect at the early months of 2016. The main concept behind the regulations is to include stricter law enforcement actions as well as severe penalties which are supposed to have a preventive effect on those involved in the road traffic. One particular change, for instance, is that drivers are now legally obligated to wait the for the pedestrian to completely cross the road prior to proceed with his driving when he’s located at a school and pedestrian crossovers. It is hoped that implementation of proper road safety regulations in Barrie will lower the cases of pedestrian accidents and minimize car accidents too. In any case, there is only so much that a law can do. There are two types of protection which could be accomplished by legal regulations – preventive and repairing. The former suggests that the necessary steps are taken in order to ensure that the accident does not happen in the first place. The most common way of accomplishing this is through severe penalties. Throughout implementing harsher legal punishments, drivers are made to abide by the regulations under the fear of being slapped with charges. This is likely to be one of the most effective ways to prevent accidents. The second type, the repairing one, aims to prevent someone who’s already caused an accident to do so again in the future. By duly enforcing the punishment which is regulated by law, the latter is going to make the perpetrator refrain for similar conduct in future under threat of even more severe charges and legal punishments. However, in order for this to work, there have to fully operational institutions and behavior-correction facilities. Otherwise, the effect could be the exact opposite with people becoming angrier with the system in Barrie, thus wanting to commit further crimes. The implementation of the most current legislation promises better results. Motorcycling is a thrilling activity which is extremely popular among the community of Ontario. The abundance of incredible landscapes, views as well as the overall great road conditions in Stouffville are some how predisposing riders to get on the road. However, motorcycling is a dangerous activity as you are literally exposed in the event of any kind of accident. This is also the main reason for which the traumas associated with accidents are generally a lot more severe in comparison to those that you’d get in a car crash of the same severity. After all, there are no additional roll bars to protect you and the only thing that is going to keep you safe is your helmet and driving gear. This is the main reason for which you should make sure to wear all the required pieces of equipment when you decide to hit the road. It’s important to point out that these are just some of the traumas that you’d be susceptible of if you are involved in a motorcycle accident. Now, exploring the injuries even closer is going to let us know that the most severe consequences are obviously the brain and spinal cord injuries. Brain and spinal cord injuries are particularly dangerous because the involve the most important parts of your body – the brain and the spinal cord. The latter is responsible for the overall functioning of your body. Your brain is the single, most important organ in your entire body and a brain related injury could cause lifelong disabilities and turn you invalid for life. This is why it’s highly advisable to wear a helmet – at least to reduce the chance of sever brain injuries. Your spinal cord, on the other hand, is a part which is keeping your movement system intact. You can expect nothing short of paralysis and even more severe conditions if a severe spinal injury takes place. In any case, you should be thoroughly informed that there are various benefit packages available if you’ve been involved in a motorcycle accident. There are different tests which are going to determine what is your entitlement and how to obtain it. That is one of the reasons that motorcycle riders in Ontario have to get the insurance coverage under the law before they can get the Ontario plates and are allowed to ride on the roads legally. The insurance policy includes accident benefits, uninsured automobile and direct compensation for property damages. If you have recently sustained injures and have filed a personal injury lawsuit in the cities of Barrie, Orillia, or Stouffville, you may be entitled to compensation for your pain and suffering. These damages may be are awarded in addition to economic or pecuniary damages such as lost wages, medical expenses, etc. that are directly attributed to the injuries you’ve sustained. First, the plaintiff suffered foreseeable psychological injury due to the negligent behavior or conduct of the defendant. Second, the psychological injuries of the plaintiff were of such a serious nature that he or she succumbed to a well-documented psychiatric illness.Emotional distress can be very difficult to prove since there are no CT scans or X-rays that a professional can point to. Conversely, physical injuries such as broken bones or head trauma can easily be identified with these medical technologies. Duration – as with most cases involving traumatic stress, if your pain has persisted and occurred over a lengthy amount of time, it may be easier for you to prove emotional distress. Intensity – the more intense your level of mental anguish is, the better your chances of proving emotional distress and being compensated for damages. Physician’s note – make sure that your claims are supported by a physician’s or psychologist’s documentation of your condition. Your reports are a testament of the level and amount of injuries you sustained. Related bodily injury – although proving emotional distress can oftentimes be difficult, you can usually provide proof of physical symptoms that are attributed to it such as headaches, ulcers, etc. Underlying causes – the court will be more likely to find for emotional distress if the underlying cause is extreme such as surviving a bombing compared to a motor vehicle collision. In order to prove your claim, you may have to incorporate several of these factors. Just keep in mind that you should be working with an experienced personal injury lawyer as well as a physician and/or psychologist. This will help you get a better representation in court.